Okay, I love these garland ideas! Too fun! 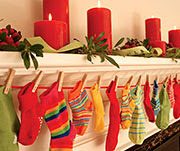 The Stocking Advent Garland by Soule Mama. She sewed up these sweet little stockings and strung them into a garland. Use up your pretty scraps or have a blast choosing lovely fabric. Embellish them to your heart's content! 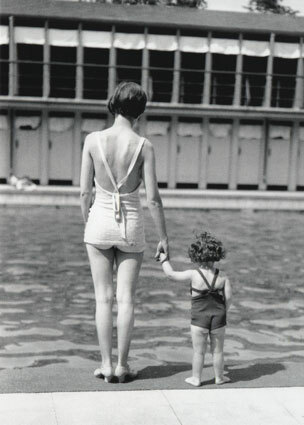 Fun, fun! 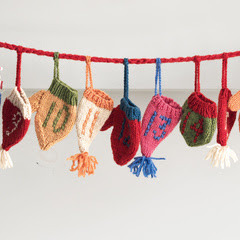 Or you could buy this premade String of Stockings Advent Calendar by Kathe Kruse... darling! 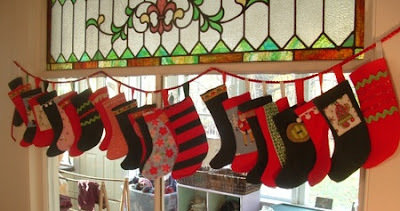 Or look at this idea at Family Fun using storebought socks and clothespins. Super easy and wicked cute! How fun, choosing all the different socks! 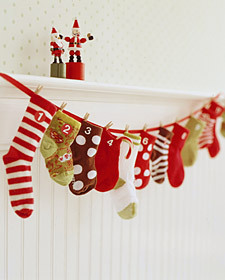 Oh, and look Martha has a version of this, too... the Baby Sock Advent Calendar! You could even use hats or mittens to make your own like this one from Garnet Hill. Or mix it up and use hats, mittens and socks. Making one of these would be such a fun, creative project. I'm putting it on my list of holiday crafting for next year!